TDK are thrilled to see Taboo open their fifth store today. The unit on Fountain Street was let by TDK following the success of their first Belfast store in Ann Street which has recently been extended to include an extensive seating area. 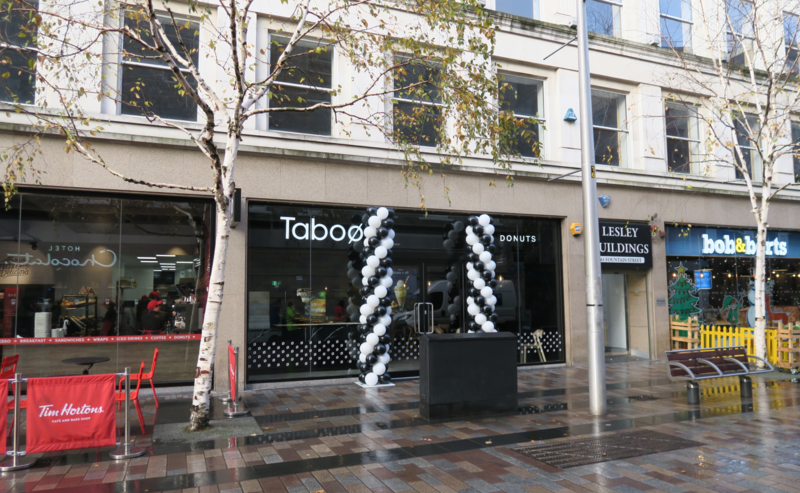 Taboo first opened in June 2018 and now have 5 stores throughout Northern Ireland. With Tim Hortons and Bob & Berts as their neighbours we think this might be Belfast’s sweet spot!